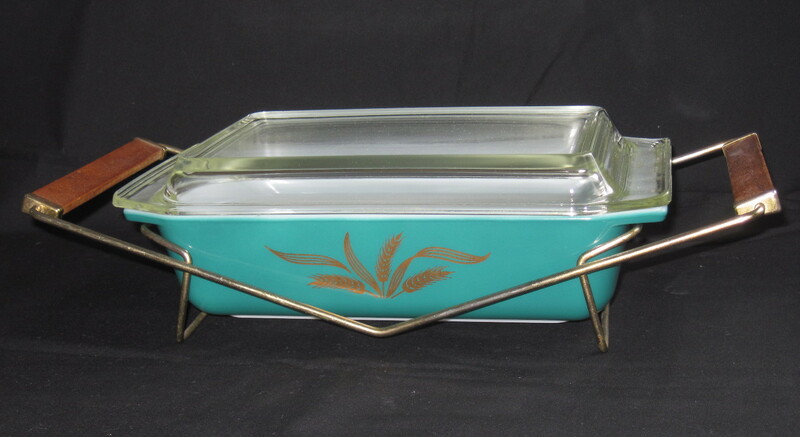 This tray is stunning. The floral pattern is beautifully painted with rich colours and gives me such pleasure to look at it. 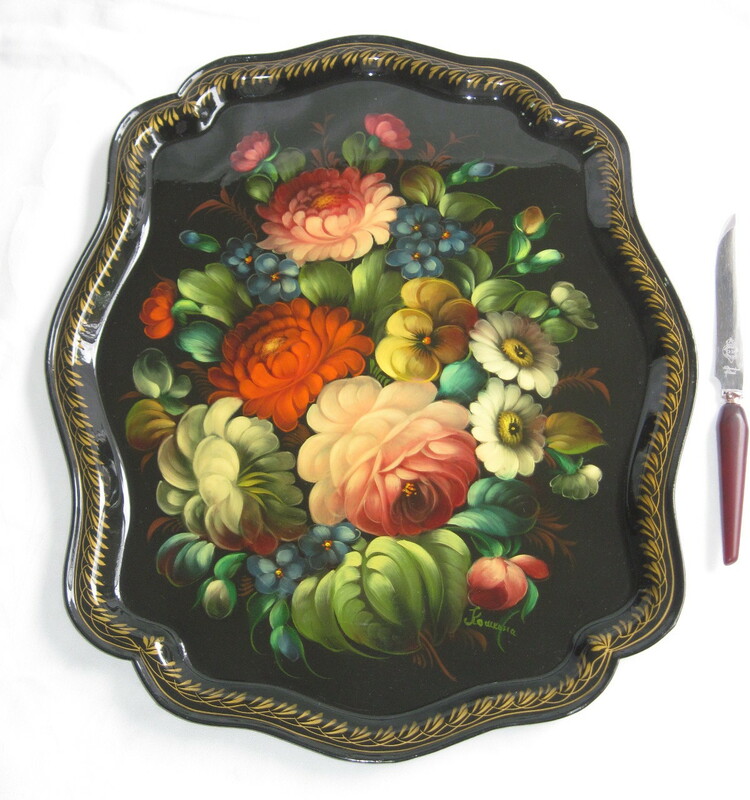 It is made in Russia and could be by an artist from the village of Zhostovo which is world famous for its artists who create these beautiful lacquered hand painted trays. There are a couple of circular marks on it but they aren’t that visible unless you hold the tray up to a light source. There doesn’t appear to be any serious scratches or other damage. I can’t make out the artist’s name but it looks like it starts with a K. Perhaps someone will be kind enough to inform me if they know it. Priced at $45. Item will be available at my booth at the Almonte Antique Market, 26 Mill Street, Almonte ON. Please note, I do not ship items. This item is now SOLD!! 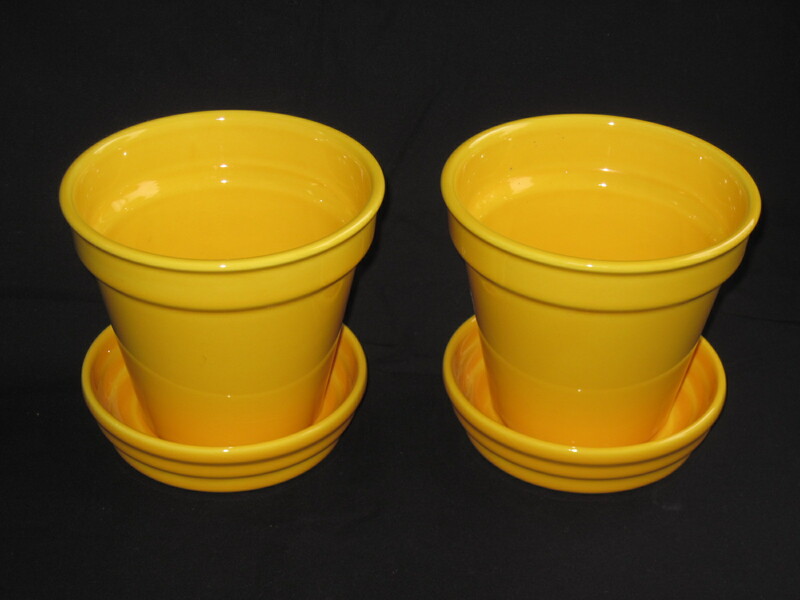 The pair of yellow flower pots with separate saucers are made by Dansk. The small one in front in the top photo is made by McCoy in the Basketweave pattern, and the larger swirled patterned one is unmarked. All are in great condition and look quite cheery all together. Small McCoy pot is approx. 4″ and is priced at $10. Pair of Dansk pots are priced at $25 for the pair. 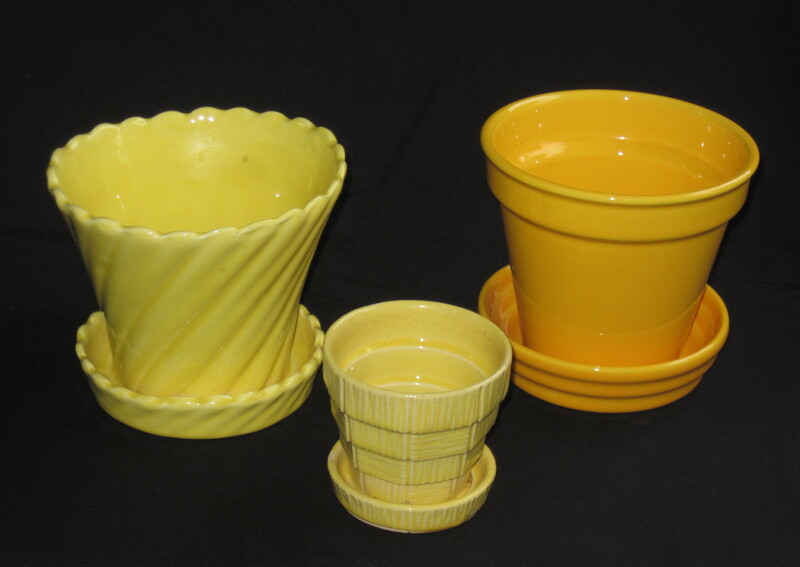 Yellow swirled pot is priced at $15. These will be available for sale at the Carleton Fieldhouse Antique Show, Ottawa ON, where I will have a booth set up. Show dates are Oct. 25th and 26th, 2014. Please note the McCoy and yellow swirled pots are now SOLD!! 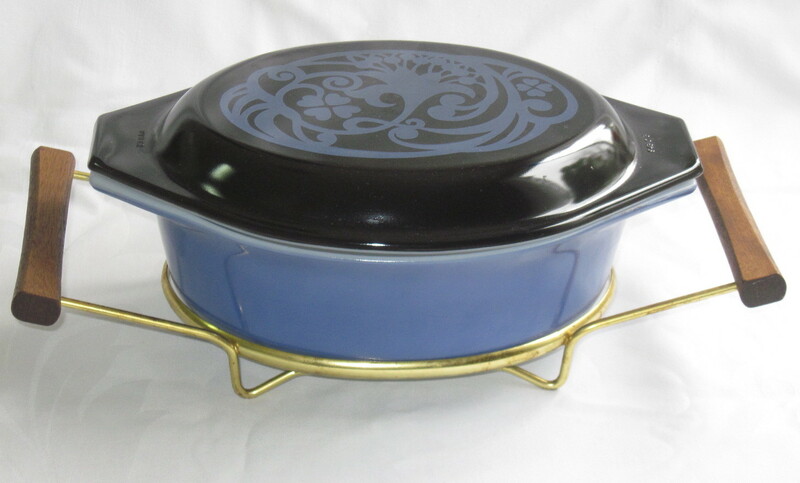 Found at a recent estate sale, this is a beautiful example of Elle Pottery made in Norway. The piece is signed on the back. Elle Studio produced pottery between 1942 and 1967 in Torkildstranda in Drobak near Oslo. Elle was lead by Tor Samuelssen. 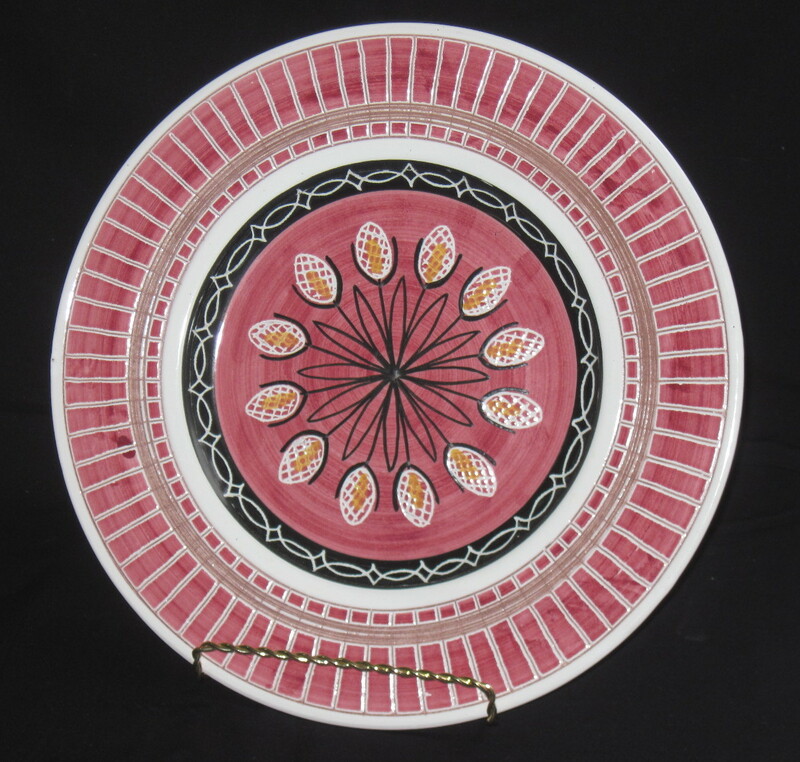 This pottery is now very collectible and prices are reflecting this interest. The plate measures over 12 1/2″ and is in very good condition. 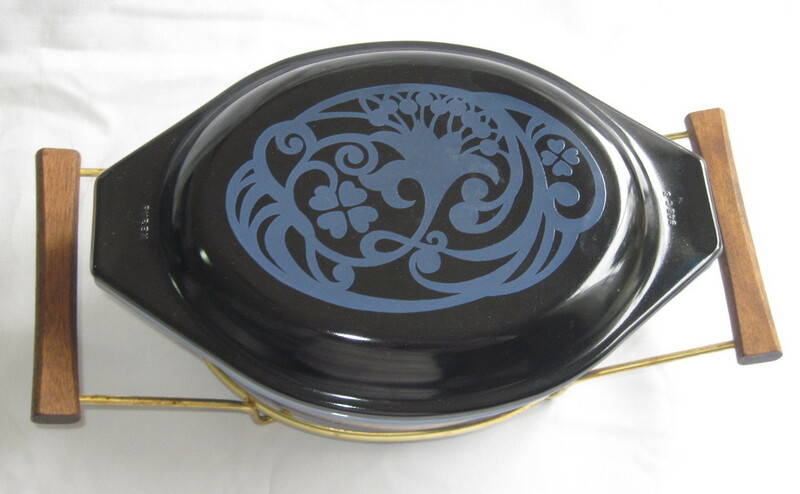 If you are interested in Mid 20th Century kitchen ware etc., I will be set up at the Carleton Fieldhouse Antique Show on Oct 25th and 26th 2014 in Ottawa, ON where this plate will be for sale.